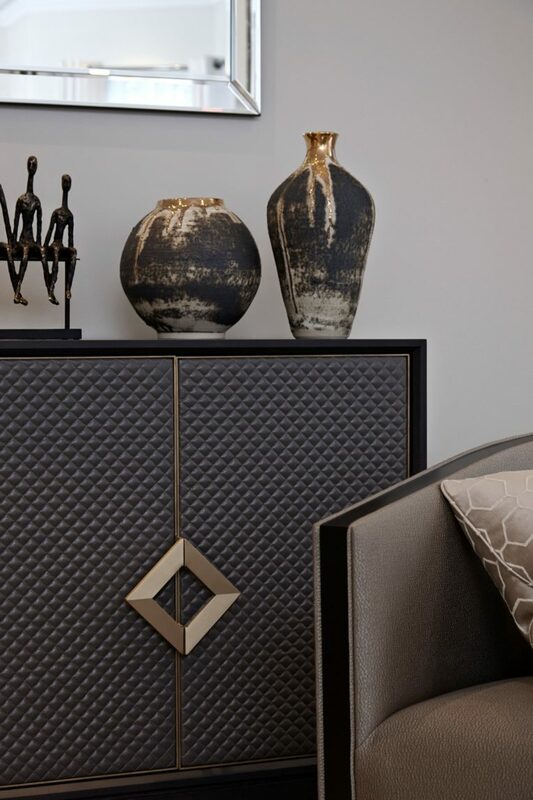 Anywhere you have the chance to choose fabrics, go for texture. Think silk look for your curtains, velvet for your sofas or armchairs and satin for your pillows. Choose cushions, throws and wall hangings that feature applique, hand knotting, tufting, beading and even flocking. Rugs should be shaggy and deep pile. Wallpaper, particularly textured or lightly patterned, creates an inviting, premium backdrop. 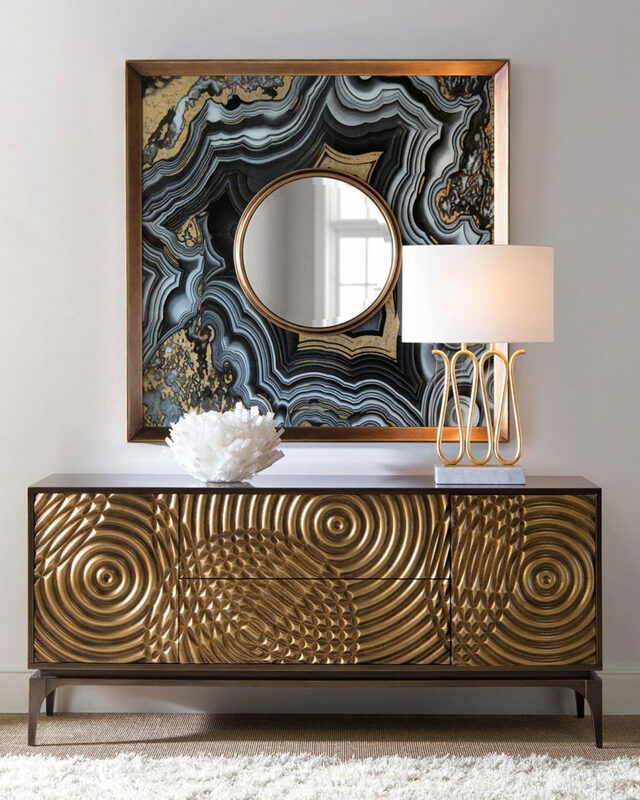 Just one gorgeous wall mirror can enhance and add depth to even the smallest of spaces, but layering with more elements like mirror panelled furniture adds dimensional shine and takes luxe to the next level. 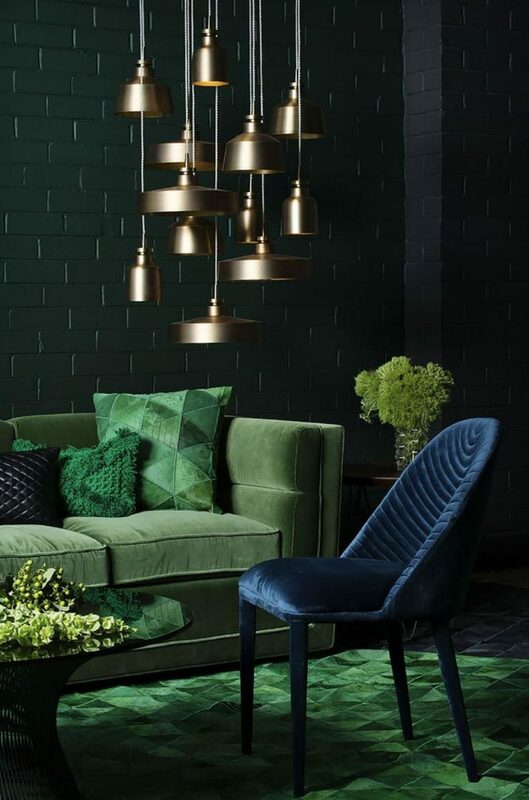 A colour scheme of opulent jewel tones exudes luxury. There’s just something about sapphire, emerald and ruby that feels expensive. Everyone is doing velvet this season, even the big brand budget stores. 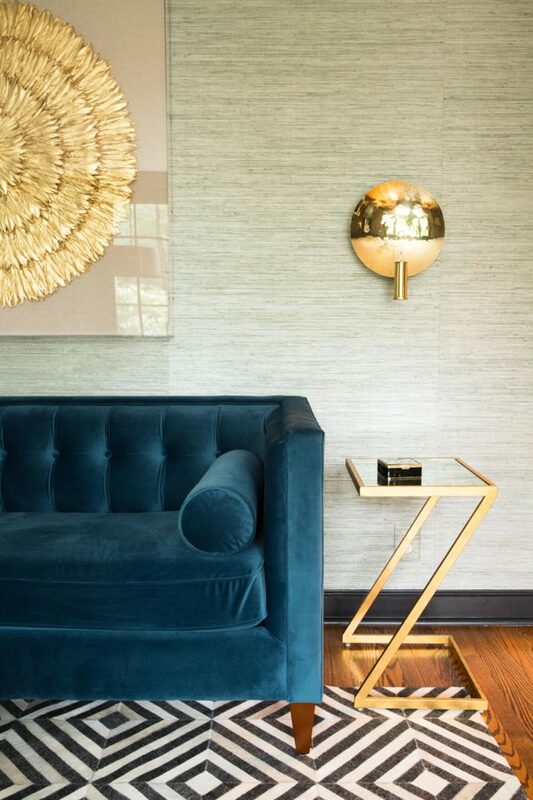 Metallics compliment jewel tones beautifully, adding to the glamour and elegance of any space. 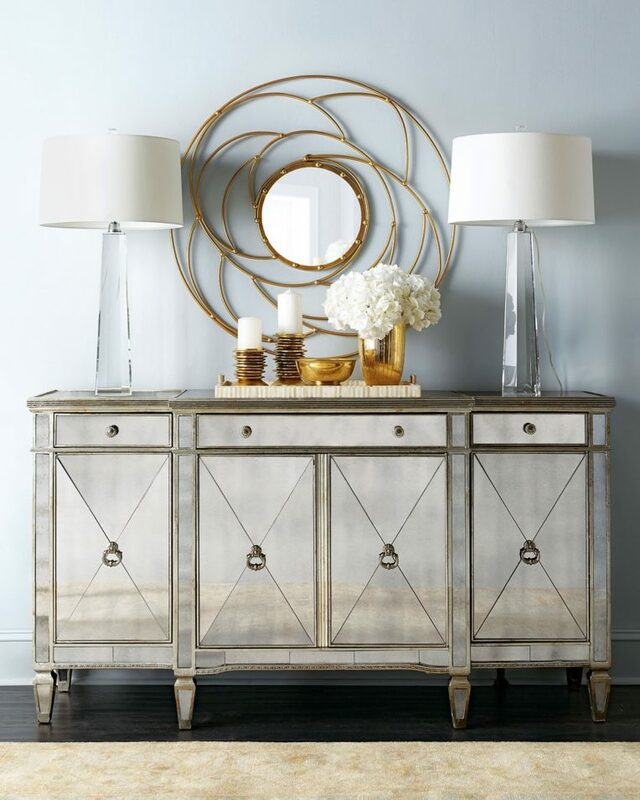 Aged brass look offers a vintage feel while silver and gold keep things more contemporary. Contrast the soft, delicate plush of fabrics with metallic pieces sized to impress. 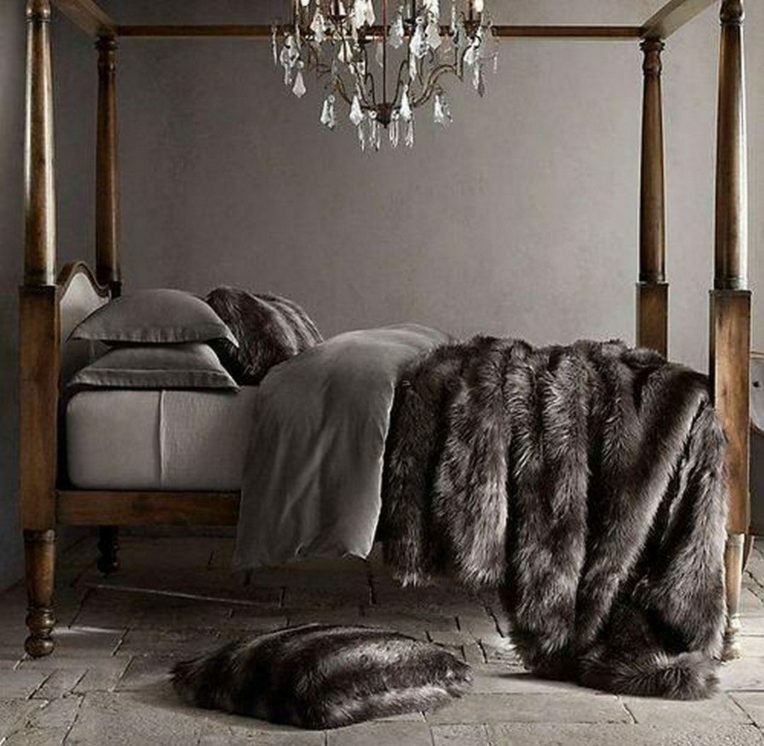 Whether it’s a throw on the bed or couch, strewn across chairs or a rug in front of the fire; faux fur in white, grey, black and dark brown tones instantly add luxury. If something looks like it was created by a person instead of a machine (even if it wasn’t), it feels more expensive. Anything slightly irregular, rough, featuring finger lines or tool marks adds a personal, commissioned aesthetic. 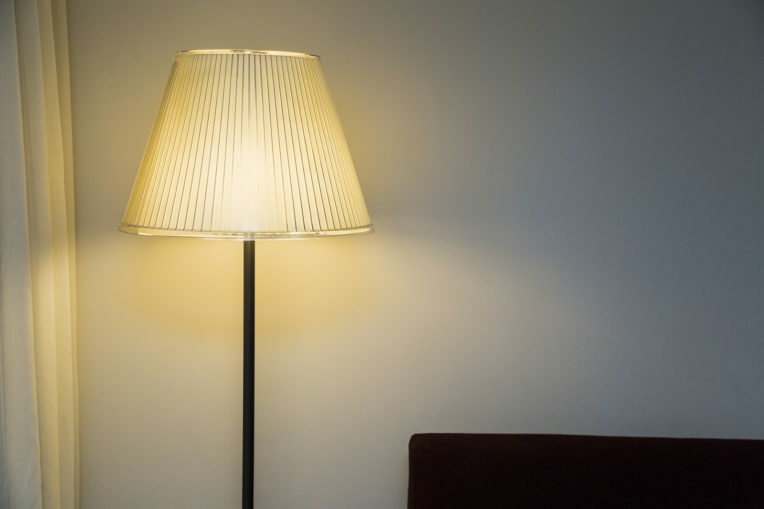 Soft, low lighting is pleasing to the eye and can set the mood. In areas in your home where productivity isn’t key opt for individual standing lamps, recessed lighting and dimmers to create ambience and an enveloping feel. 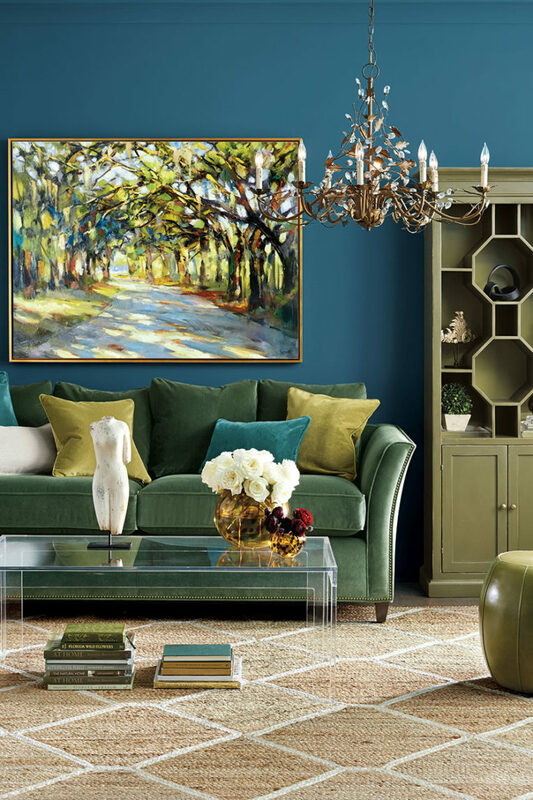 You don’t need a home filled with crystal chandeliers, gold frames and designer furniture to get a luxurious look – but picking one timeless, carefully chosen investment piece can lift everything around it to sleek and chic. It can take time to achieve this look, especially if you wait for the right price on items you desire – but your bank balance will thank you for it! For more design ideas and advice, or any other renovating projects you have coming up, make sure you visit Canterbury’s longest running and No. 1 home building & renovating expo – the Canterbury Home Show, 12 – 14 October 2018 at Horncastle Arena, Addington, to source quality products and services from 140+ home-related businesses and get free expert advice from leading industry experts and suppliers. See www.canterburyhomeshow.co.nz for more info!